I see that our sheriff John Minor has elected to join the right wing Independence Institute in suing the State of Colorado for passing gun control legislation. 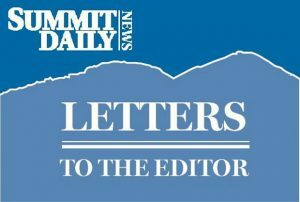 Are Summit County funds are being spent on this lawsuit? If Sheriff Minor wishes to pursue the frivolous lawsuit on his own time and with his own money, no problem. It speaks to his judgment in joining a bunch of wing nuts who are still fighting against light rail in Denver, but whatever. Go for it. I draw the line at spending tax dollars on his hobby, however. We’ve got real problems that need to be addressed in this county and state without forcing State government to waste time and tax money in defending what is legal statute as well as the will of a vast majority of Colorado citizens.